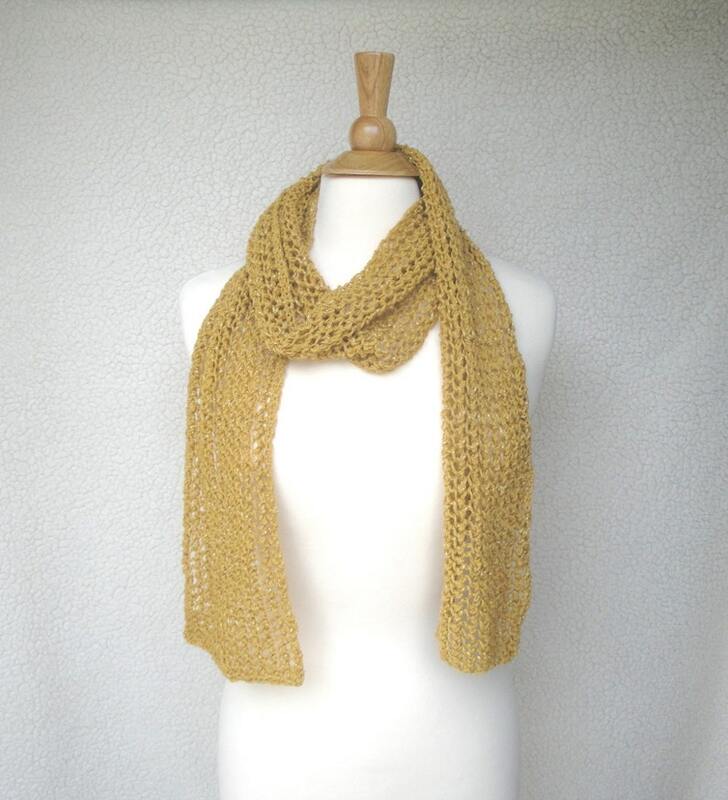 Gold metallic scarf with an mesh lace pattern, hand knitted in a cotton yarn with a hint of sparkly glitter. Lightweight and airy it is perfect for warmer weather accessorizing, sparkling so pretty in the light! Hand knit in a fun "chain" lace stitch. Will be appreciated by teens and women. Great for a chilly office, cold classroom, or a windy day! Care: Hand wash, cool water, mild soap, roll in towel to remove excess water, reshape and lay flat to dry.